So I have been wondering about this new pudding from Morinaga recently: Veggie juice-banana pudding (Jujitsu yasai de oishii Banana pudding) . So…I bought it just to satisfy my curiosity. Let me tell you about its label first: 120 kcal, protein 2 g., fat 4.3 g., carbs 17.6 g., and fiber 2.9 g. Compared to many other puddings, 120 kcal is pretty normal, but it can be better in terms of lower fat and higher fiber. Check it its product website! Sorry, morinaga….This pudding is not cutting it for me. More pudding reviews are coming, so stay tuned! Okay, so I was really excited when I was punching through the carton with my straw. Took the first sip with hope! Then…fell flat. WHAT IS THIS FLAVOR??? TOT I first tasted just normal tomato juice but then the chili kicked in in the end. For me, this chili taste is something that SHOULD NOT be there. It interferes with the next sip, making you slow down and wonder if it’s a good idea to add more spice on your tongue while eating raw tomato. Seriously, don’t waste your money on this. You can go to your kitchen, cut your tomato and sprinkle it with cayenne pepper. It will taste the same. Most of you guys who frequent convenience stores might have seen the soy milk series by this brand before, right? 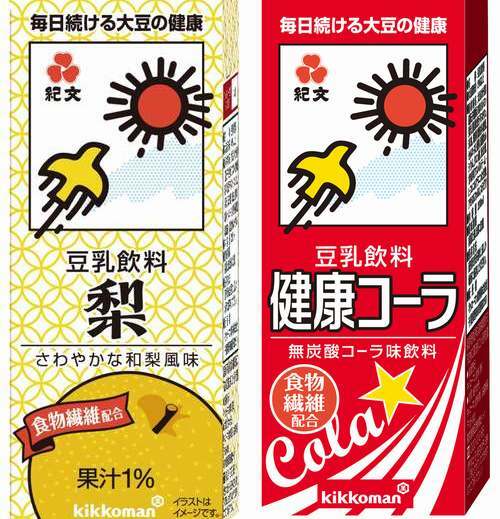 Kikkoman owns this brand called Kibun, whose one of the popular products is soy milk. In a year, they keep releasing different flavors that correspond to the particular season or what is eaten in a particular national occasion. This year, on MARCH 3rd, it is scheduled to release 2 new flavors! First is the Pear soy milk. Refreshing, sweet, and aromatic, it might be a good way to prepare yourself into the coming spring-summer. 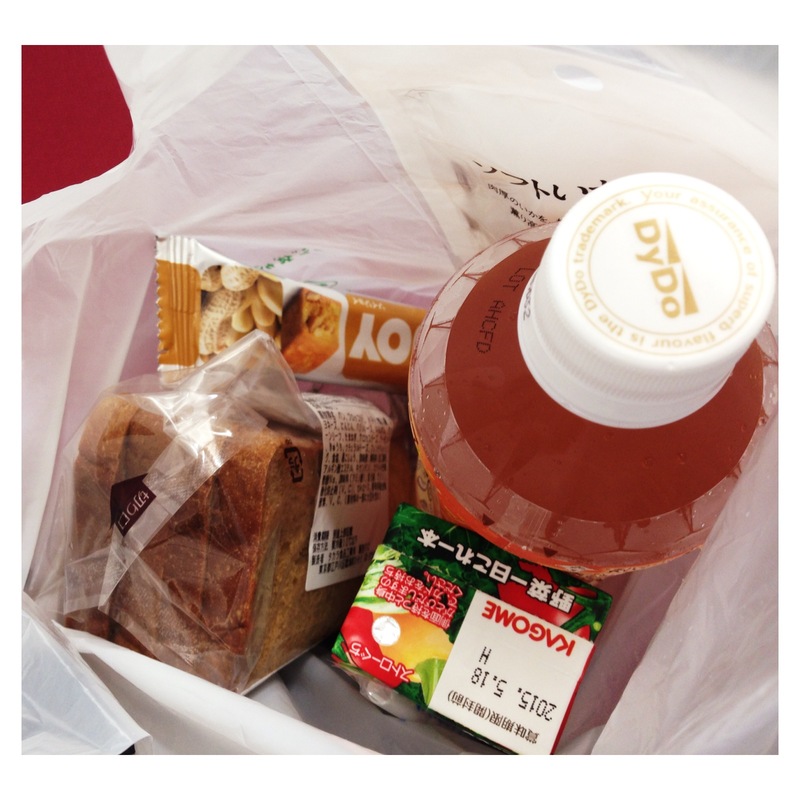 With 126 kcal per unit (200 ml), the Pear soy milk also includes 3.6 grams of fiber!, to be sold at 98 yen at retail price.